It is early 2016 but we Urban Jungle Bloggers already know America’s Next Plant Model. Yes you heard right, America’s Next Plant Model. As an international green community we have our plant satellites spread across the globe and today we want to highlight a plant that is among the most popular plants bought in stores by our American fellows: the potted orchid. Now this might come or not come as a big surprise as even here in European countries the potted orchid is a top seller on various points of sale – at the garden center, the florists as well as supermarkets. 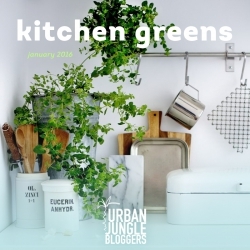 Yet we have widely neglected that blossoming beauty in our Urban Jungle Bloggers posts so far. Time to change that! 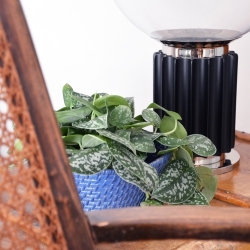 We have always focused on green plants here on Urban Jungle Bloggers and we must admit to have kept the blooming plant friends a bit in the shade. But with this plant superstar we need to adjust the spotlight to the exotic beauty of the orchid. 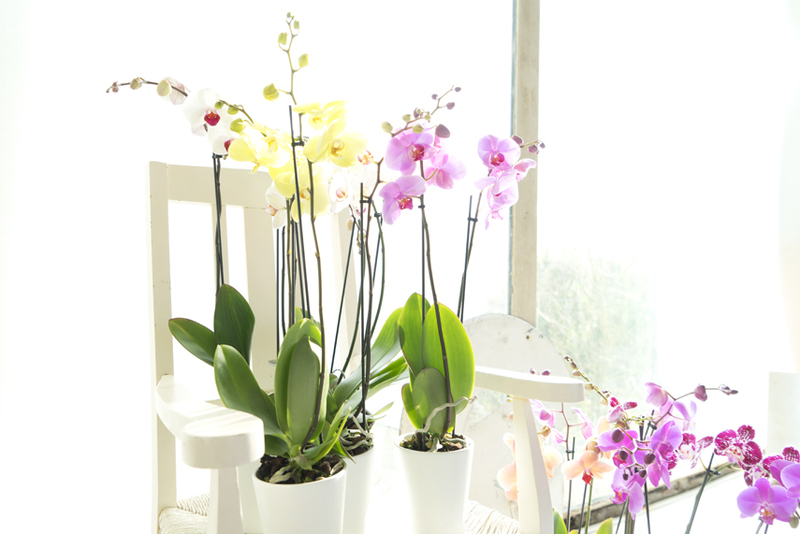 The potted orchid is a popular floral adornment to many homes around the globe, not only in the USA. 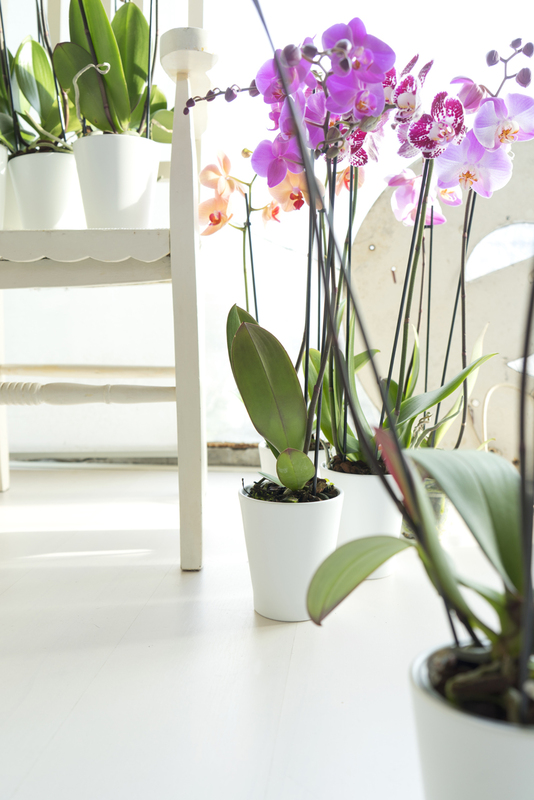 Even though the orchid looks like a fragile beauty with a complex plant personality, most varieties available on the market tend to be rather easy-to-care plants. Caring for the widely available orchids is rather simple. The most important rule is not to over-water them. 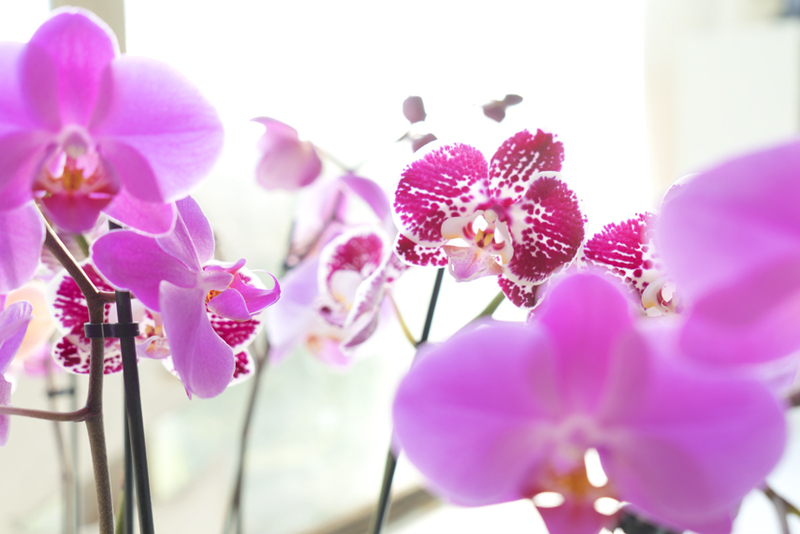 Orchids do not tolerate dammed-up water and should not be watered more than once or maximum twice a week in hot summer months. Ideally water them by letting the excess water drain off or simply dip them in water and let them drain before returning them into their pot. 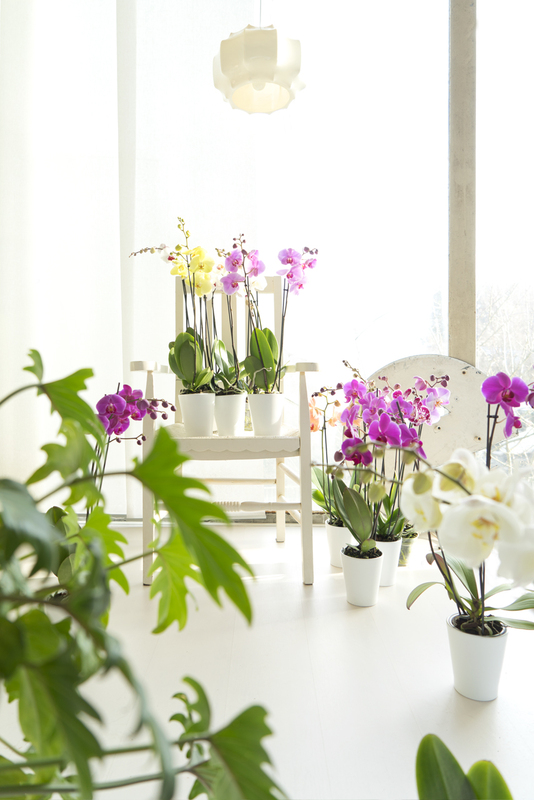 During their growth period you can support the blossoming with orchid fertilizers – do not use normal plant fertilizer as orchids have special needs. Adding fertilizer every other week is absolutely sufficient. 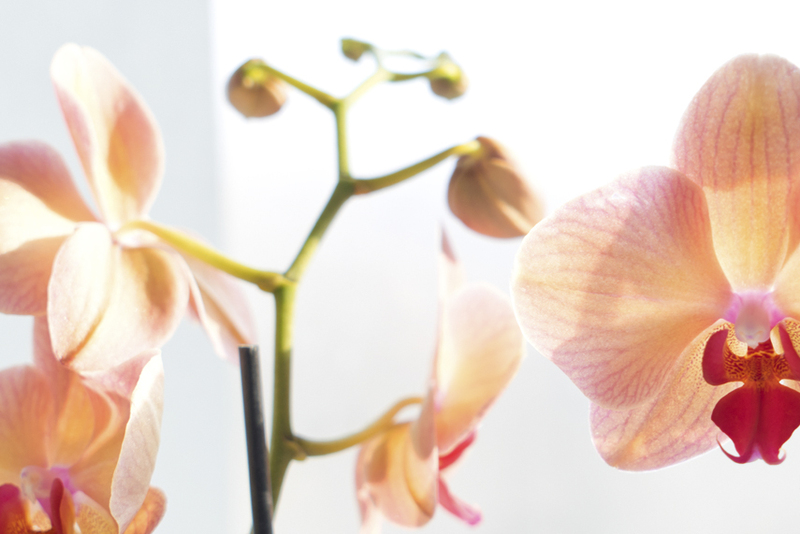 And if your orchid plant loses its flowers: don’t throw it away! 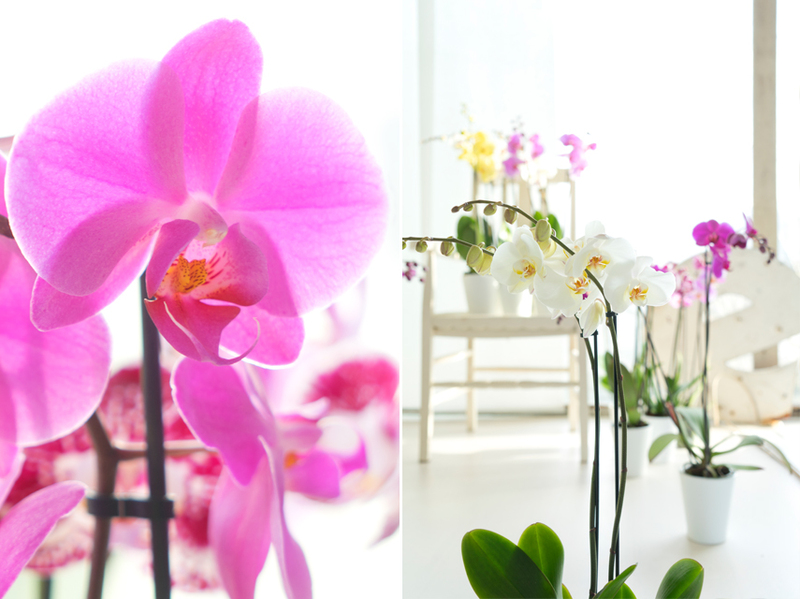 Just like other flowering plants, orchids must rest and replenish their energy between bloom periods. Dormancy typically lasts from 6 to 9 months and in this time you can continue to care for your plant as usual. After 12 to 24 months it’s time to repot your orchid into a slightly bigger pot. 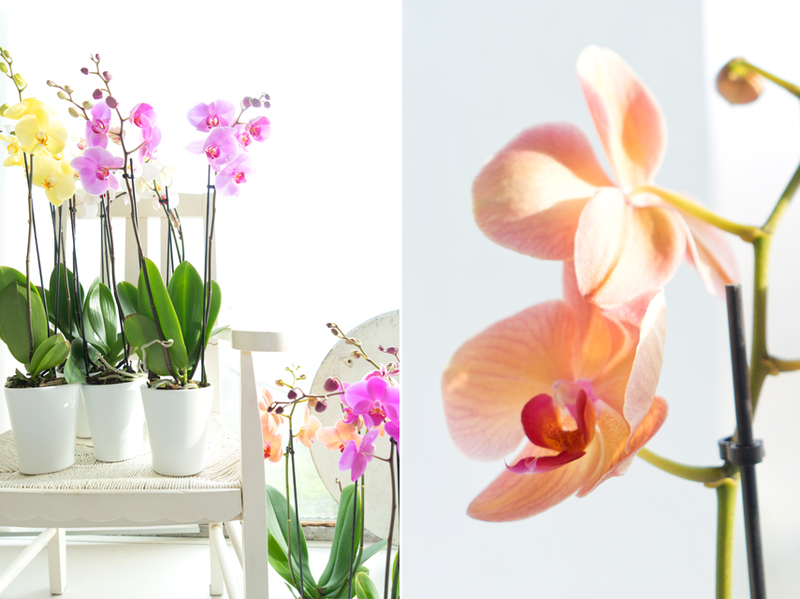 In any case: keep them in a bright place like a sunny windowsill and you’ll be happily ever after with your orchid!